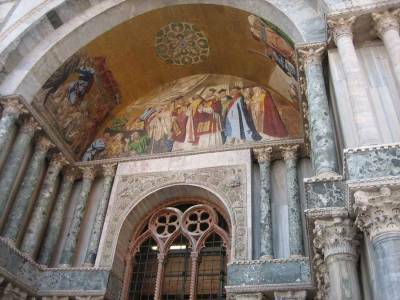 St Mark’s Square is the tourist center when you visit Venice. You can walk or catch hop on hop off water taxi (vaporetto) to St Mark’s Square from the train station. 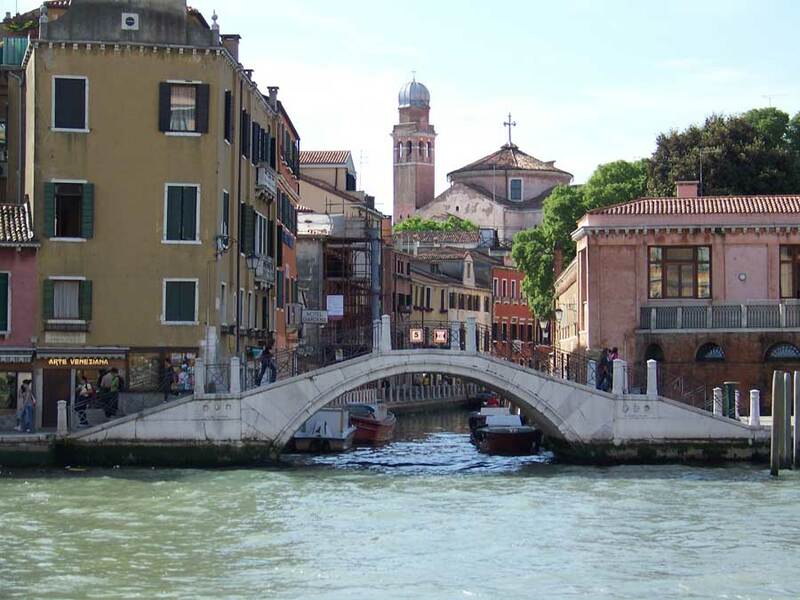 For those who walk, you can only cross the main section of the Grand Canal at the Rialto Bridge. There are some signs providing directions once you cross the Rialto Bridge. 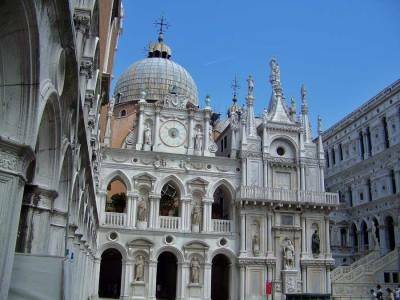 St Mark’s Square includes the St Mark’s Basilica, the Campanile tower and the Doge’s Palace. 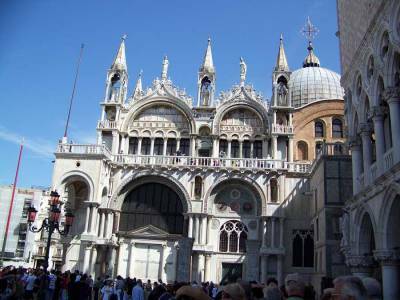 St Mark’s Bascilica has no admission, while the Doge’s Palace and the Campanile charge a fee. 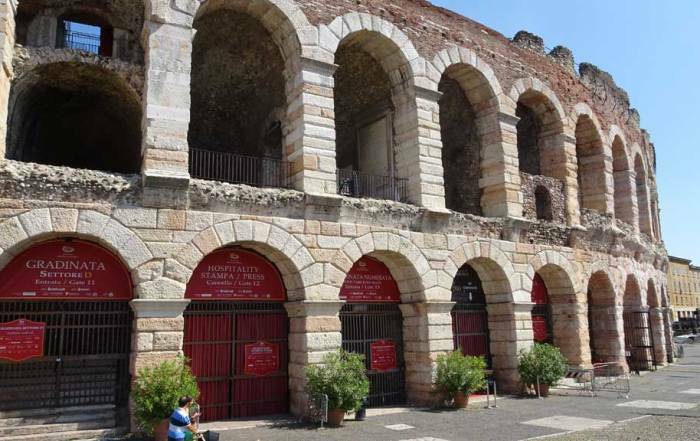 The Campanile fee is well worth it, as you can then ride the elevator up to the top. The views and cool breezes at the top are very enjoyable. 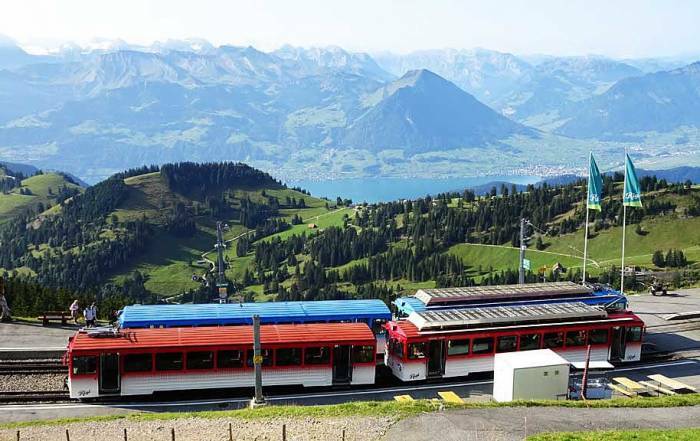 Skip the Line tours are a good idea during the height of the tourist season in July and August. Make your own Venice Self Guided Tour. The Rialto Bridge is almost as popular as St Mark’s Square. You can wander the maze of pathways and canals from the train station to the bridge. 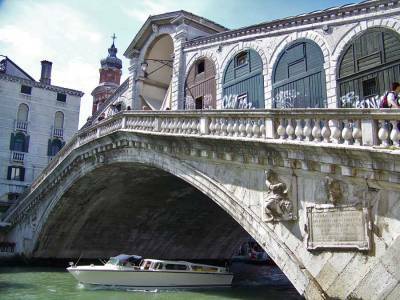 The Rialto Bridge is the only way you can cross the Grand Canal on foot and reach St Mark’s Square. Spend some time in this area in the evening. 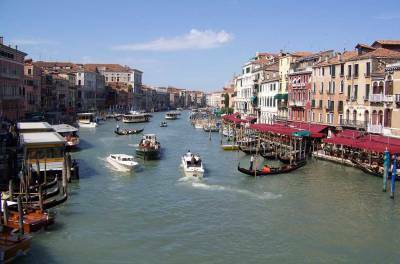 The Grand Canal at the Rialto Bridge is lined with waterfront restaurants. Have dinner and watch the gondolas at the same time. 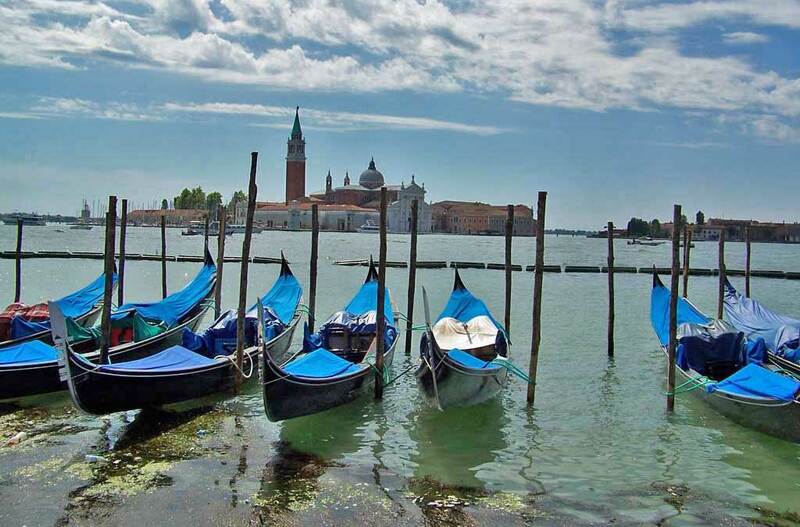 Take a classic gondola ride, a gondola serenade or a Venice by Gondola Tour. Try the shorter, cheaper quick canal crossing in a traghetto. 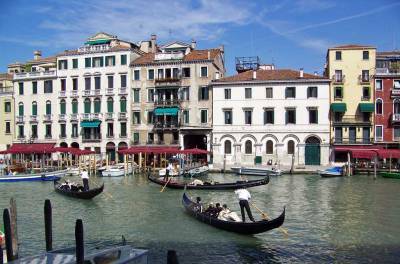 The number of gondoliers is limited by permit in Venice, which standardizes the experience but also keeps the prices high. Try Viator’s Hidden Venice Half-Day Walking Tour for an experience in the Rialto, Carampane and San Polo neighborhoods. Venice Grand Canal Boat Tour from St Mark’s on a water taxi. Travel to the nearby island of Murano and watch classic glassmakers in action or to Burano for the lace making. 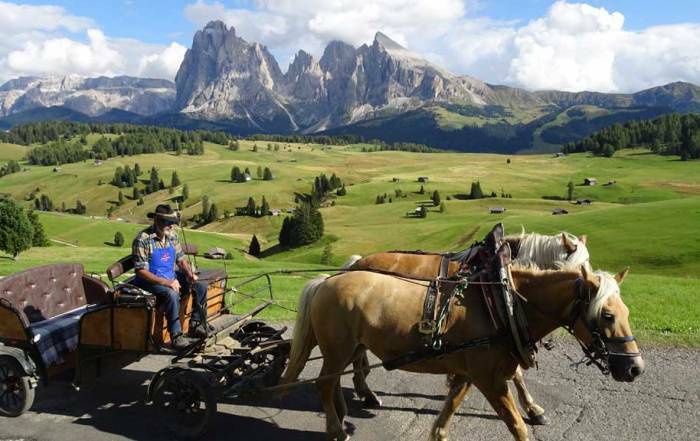 Visit 3 islands on a Murano, Burano and Torcello Half-Day Sightseeing Tour. 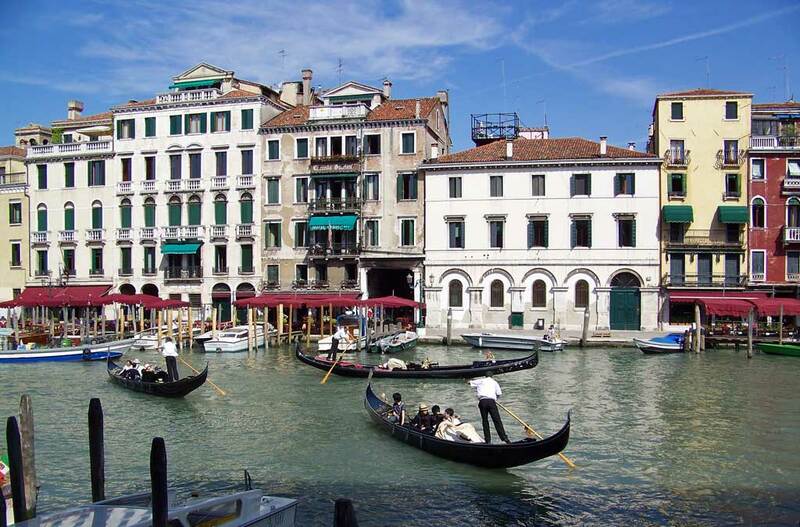 Teatro La Fenice Tour – see the famous theater in Venice. Attend the Carnaval of Venice in February. Be prepared to dress for the occasion and wear a mask. Prosecco – sparkling white Italian wine. Spaghetti al fruiti de la mare – seafood spaghetti. Don’t miss out on some authentic spaghetti. Try Ristorante Terrazza Sommariva and sit along the Grand Canal by the Rialto Bridge. Polenta – cornmeal boiled into a porridge. Visit a cicchetti bar – the Venice version of tapas. 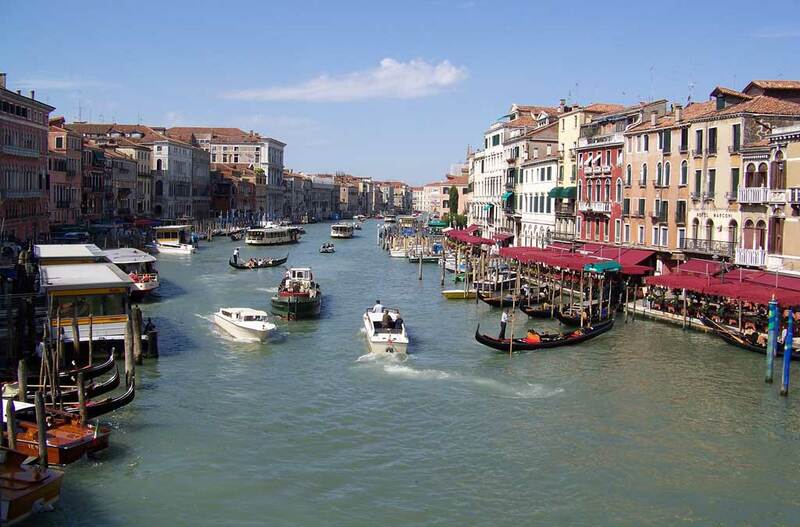 Try Viator’s Venice Food Tour: Cicchetti and Wine. 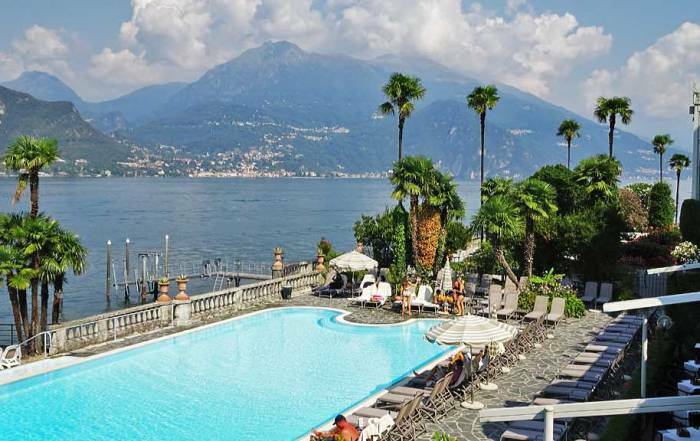 Try a four course meal with Viator’s Veneto Wine and Dinner Pairing. 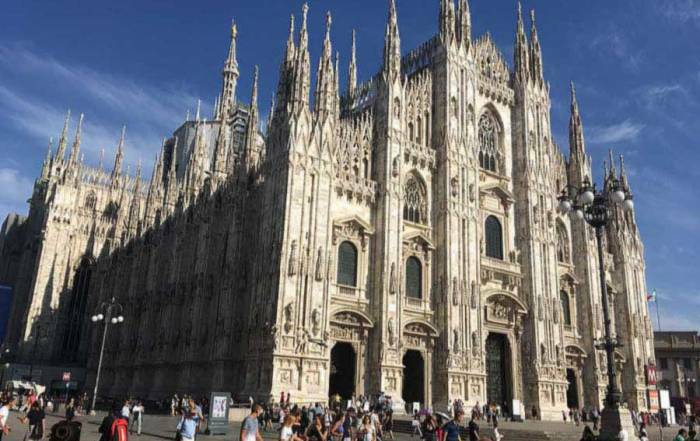 Florence Day Trip from Venice by High-Speed Train – transfer to Florence to see its famous cathedral. The presence of the Adriatic Sea keeps Venice weather from falling below freezing in winter, but it can snow at times. Summer weather has highs in July and August of about 84 F (29 C), while lows are about 66 F (19 C). From December to February average highs are 46 F (8 C) and average lows stay at or near freezing. Rainfall is lightest from January to March and is fairly evenly spread throughout the rest of the year. Spring and fall are good Venice weather months and the best time to visit for smaller crowds of tourists. Venice Marco Polo Airport (VCE) is located on the mainland about a half hour away from the islands of Venice. A causeway connects Venice Mestre on the mainland to the island of Venice San Lucia. Taxi, bus and frequent rail service take passengers to the train station or the nearby Piazzale Roma for buses and taxis. A foot bridge connects the train station and Piazzale Roma. Cruise ships dock beside Piazzale Roma. A People Mover takes cruise ship passengers to Piazzale Roma on a 3 minute ride. After you reach Venice, there are no roads. Your options are to walk or water taxi (vaporetto). For those staying in a hotel on the island it’s essential to use a water taxi or pick accommodation near the Piazzale Roma. There are even water taxis from the airport to hotels on the island. If you use roller bag luggage, you will find it to be a noisy, inconvenient journey on the cobblestone streets and small bridges. If you choose to walk to the Rialto Bridge and St Mark’s Square, there are signs along the way that direct you through some of the trickier sections. Returning to a hotel after a day of sightseeing can be a challenging experience that is reminiscent of laboratory mice in experiments where they get lost in a maze of pathways while seeking cheese. Venice is an island called Venezia San Lucia by Italians. Make sure not to confuse this with Venice Mestre, which is a few minutes away on the mainland. If you get off the train when it arrives in Venice Mestre you will be disappointed by Venice because you’ve actually missed it. 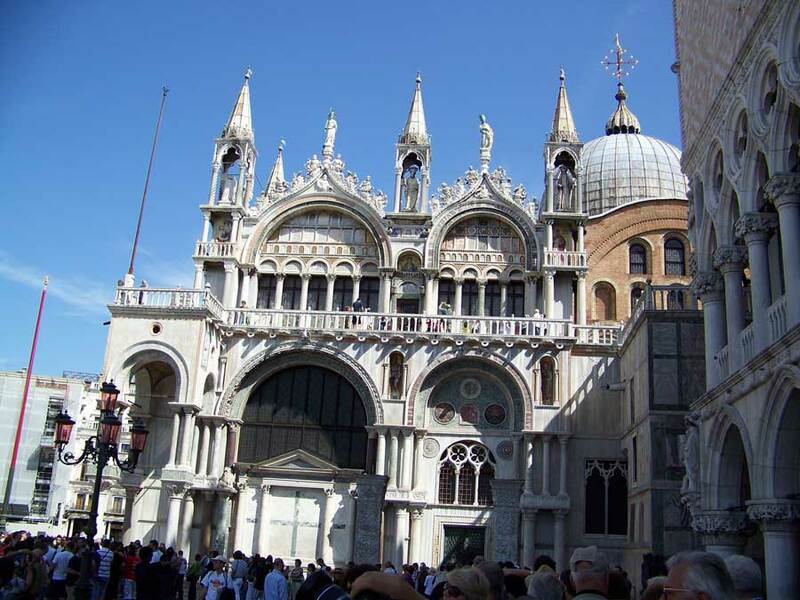 Venice was a major maritime power during the Middle Ages and the Renaissance. Today Venice is famous for St Mark’s Square, gondoliers and glass blowing. Its architecture, canals and its complete independence from motor vehicles make it one of the world’s most unique and romantic cities.